Does anyone like Turbo Training? I mean, actually enjoy doing it? 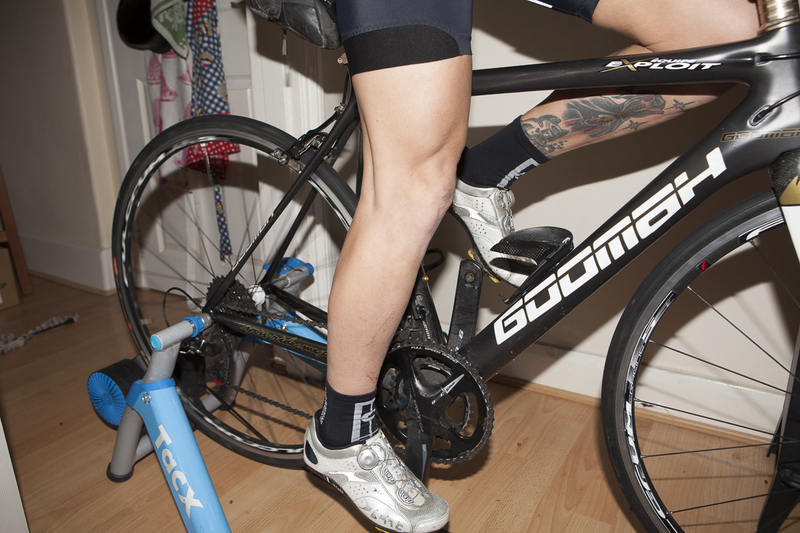 I get a real buzz after a session on the turbo and I really dig the results, but as for finding pleasure in the activity itself, well, I’m not a sadist! But in my mind, turbo training in winter is a necessary evil – there’s not enough daylight to complete the training I like to do outdoors and frequently the weather is so goddam awful that I don’t want to leave my house on a road bike. I don’t mind getting totally filthy on my mountain bike, but having just noticed the extent of the damage I’ve done to my rims, hubs and groupset over the last 12 months by riding in gritty, grimy weather, I’m reconsidering riding a road bike in all weather. It’s news to me that a brand new set of wheels can only last a year…. bah! It’s too late for those hoops, but I’m certainly going to need to be more selective about what/when I ride in future – I’m not made of money! Anyway, back to Turbo Training. It’s horrid but awesome. And if you’re in need of some turbo training ideas, or some High Intensity Interval Training, you’re in luck as I’ve just shared some of my best workouts over on the Velovixen site.